Welcome. Yes, you're really here. All photos courtesy of Lime Wood Hotel. 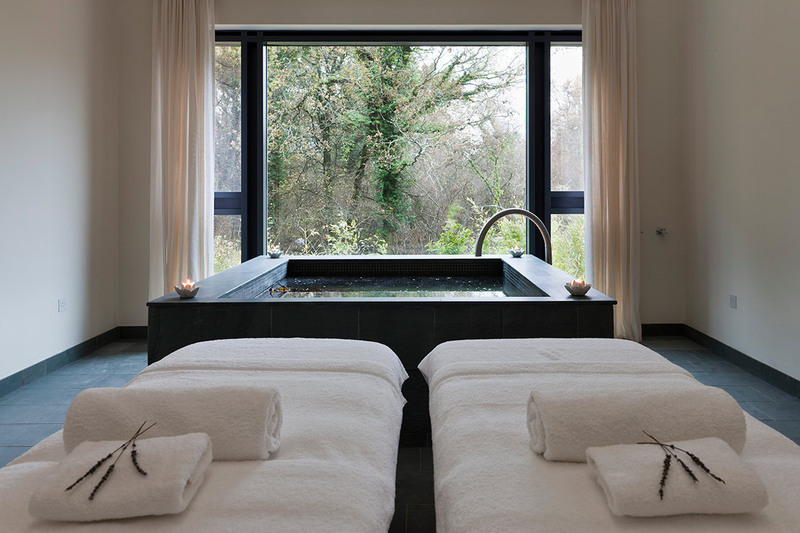 London-based contributing editor Malika Dalamal bolted from the big city to a fairytale forest lodge in Hampshire, England, to catch her breath over locally sourced meals, revitalizing mud treatments, and bike rides in the woods. 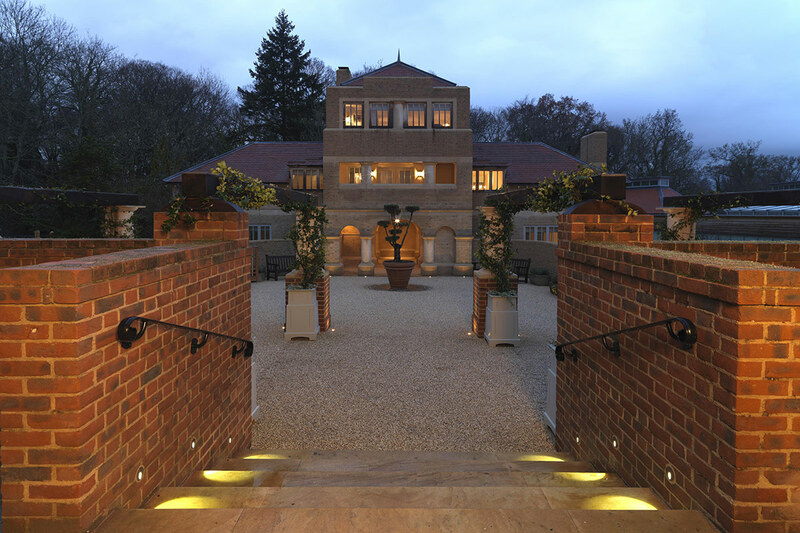 Originally a 13th-century hunting lodge in New Forest National Park in Hampshire, not far from London, has undergone an extensive renovation to turn a stately pile into a cozy country hotel with a world-class spa and a fine-dining restaurant. In contrast to the grand Regency exterior, the interior is designed by David Collins Studio (, ) and feels comfortable and elegant, but not the least bit stuffy thanks to contemporary twists. Set on seventeen acres of lush forest, Lime Wood is child- and dog-friendly. 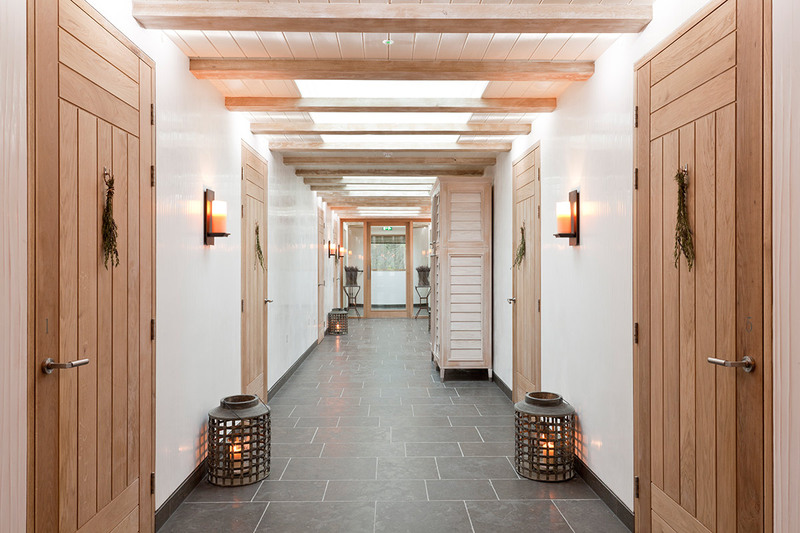 The picturesque Herb House Spa is a destination in itself — set over three floors with indoor and outdoor pools, as well as a massive sauna overlooking the forest. The full body treatment with lots of detoxifying mud and steam, is done in the hammam-like Mud Room and will make you feel brand new. 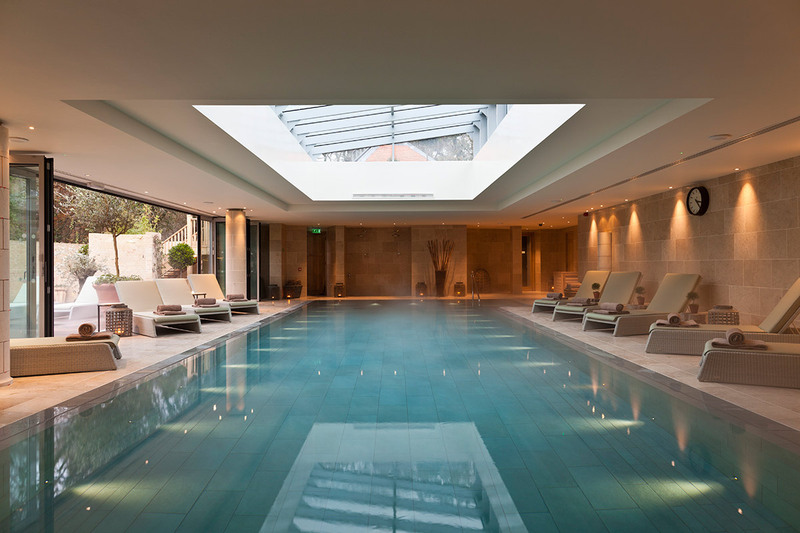 There's also a gym, rooftop yoga, plenty of treatments, and stunning changing rooms with bathtubs and walk-in showers that are stocked with , , and other British beauty products that you'll be tempted to steal. When you're done, retreat to the Raw & Cured Bar for a light and healthy snack or fresh juices and smoothies. If you're not a spa person, swap your shoes for a pair of Hunter wellies, grab a map, and go for a forest walk or bike ride. 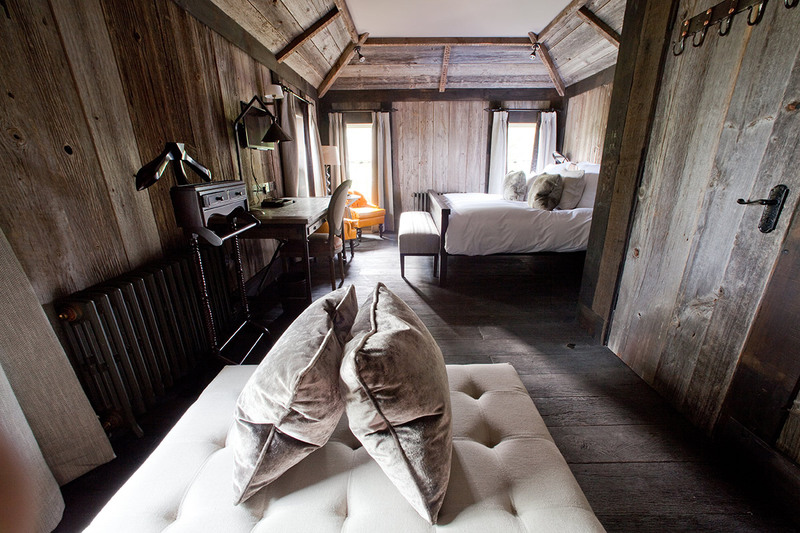 The master bedroom in Forest Cottage 1. 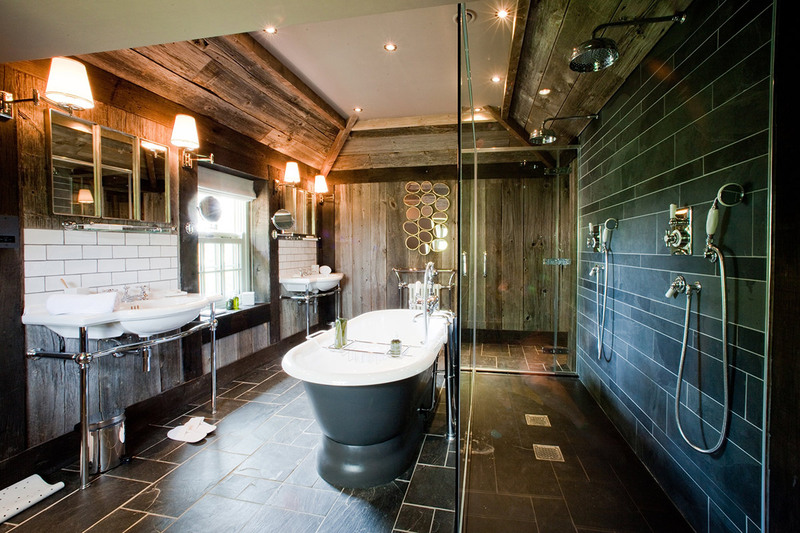 The bathroom in Forest Cottage 2. A breakfast buffet is served in the cozy and informal Scullery every morning. 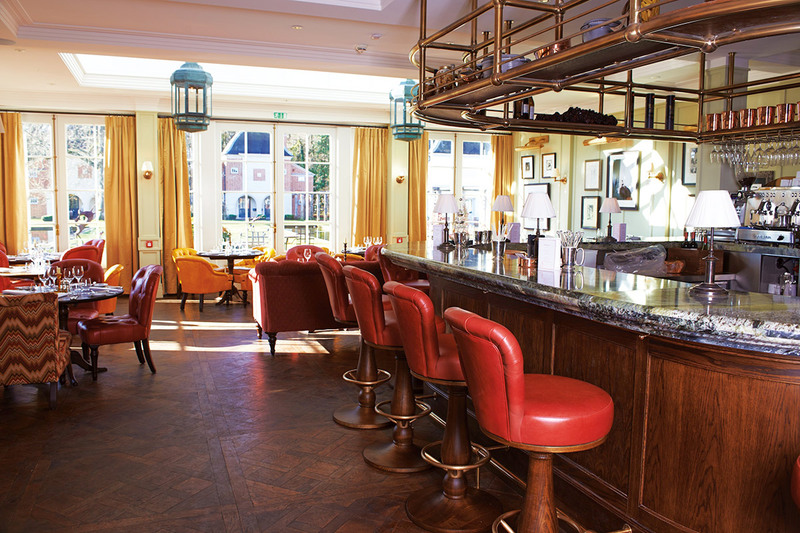 Lunch and dinner takes place in the main restaurant, Hartnett Holder & Co, run by , Michelin-starred Gordon Ramsay protégée and chef-owner of Murano in London's Mayfair, and resident hotel chef Luke Holder. Expect Italian-influenced dishes made with locally sourced British ingredients like lobster paste on toast with honey truffle or tagliatelle with Scottish girolles, Parmesan and parsley. You can also learn to make dishes from the menu at their backstage cooking class, which I wrote about on Gentedimontagna. There are 29 rooms in eight styles, ranging from a simple Eaves room in the main house to a standalone two-bedroom Forest Cottage with a log fire, kitchenette, and dining and living areas. Rooms have a homey, rustic-chic feel and come with modern amenities like complimentary Wi-Fi, satellite TV and DVD player, a well-stocked pantry, and (most importantly) fluffy bathrobes and slippers. The atmosphere at Harnett Holder & Co. The Coach House, where many smaller rooms are located. I stayed in a two-story Forest Hideaway Suite with a living room downstairs and a bedroom with walk-in wardrobe upstairs. The bathtub, where I spent far too much time, overlooked my own private garden. I would happily have moved in permanently. Urbanites looking for laid-back luxury and anyone who wants to escape to the country for a weekend without having to sacrifice good food, efficient service, and any other small comfort they're used to in the city. Don't miss — 90,000 acres of woodland, heaths, streams, and wildlife once voted Most Environmental Destination in the World at the 2008 World Travel Awards. You can explore on a bike rented from the hotel or on foot. If you need to get out, the picturesque village of Beaulieu, a 20-minute drive away, is home to , which has a fabulous collection of vintage cars. 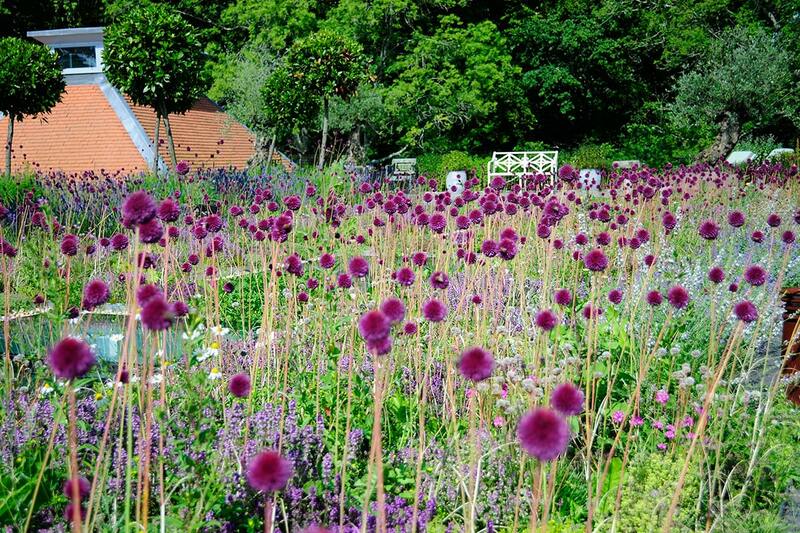 On the way home, stop by Farm near Lymington and stock up on exceptional organic produce from the farm shop. 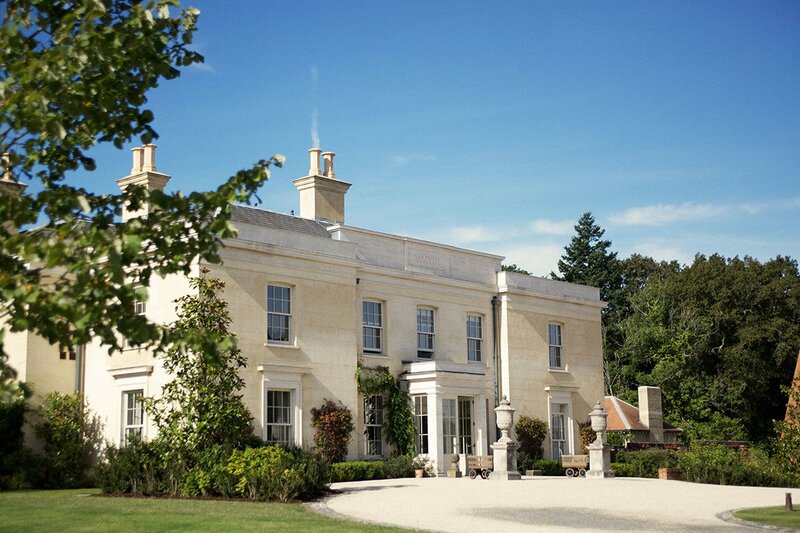 The hotel is a 90-minute drive from London by car or a two-hour train ride from Waterloo Station to Brockenhurst. From the station, the ten-minute taxi will cost about £12. Lime Wood also has a helipad, if that's your style. Rates start at £315. .